It is widely acknowledged that Pakistani Christians suffer disproportionately from abuse of the implementation of the blasphemy laws, but this figure shows that many suffer, even if their blasphemy accusations are never publicly recorded, or indeed ever reported. After the violence in Joseph Colony, a Christian enclave in Lahore, in 2013, during which about 112 houses were ransacked and set on fire by a mob of about 2,000 protestors, a large meeting of Christian and Muslim leaders was convened and Christians were assured that misuse of blasphemy laws would not continue. “After that, we arranged training workshops with about 7,000 Muslim clerics who were exposed to how the blasphemy laws could be misused,” Ashrafi told World Watch Monitor. After a Christian couple was killed in mob violence last November in Kot Radha Kishan, there was another plan to incite ‘blasphemy’ charges, which Ashrafi says his council defeated. A Quran with torn pages was placed outside a local mosque to incite the crowd, so that the police could be prevented from arresting those suspected of burning and killing the couple. “Similarly, in the Sheikhupura incident [in June 2015, when a Christian couple was falsely accused of defaming Islam], one group of clerics said that a police case was to be registered, but our clerics stood up and opposed that,” Ashrafi said. Ashrafi’s statement has come at a time when several blasphemy cases against Christians have emerged: the most recent an anonymous letter to a police station which proved false. On 16 September, the head of the Gali Sardar Akhtarwali Police Station in Changa Manga, Kasur District, received a letter saying that a Christian, Saleem Masih, was seen burning pages of the Bible and of the Quran. The letter alleged that the incident was witnessed by Samina Barkat, but the police said there was insufficient evidence. The letter apparently demanded that “voices should be raised against this ‘blasphemer'”. The police managed to settle the matter before it spilled over into full-blown violence against local Christians, who said the letter’s purpose was to evict them from their houses. The issue has temporarily settled; however, they fear that violence could flare up at any time – whenever those behind the letter find it convenient. A similar incident took place in the same district two weeks before, on 31 August, when the Christians of Garhaywala village locked themselves in Mandi Usmanwala Police Station. About 200 local men were demanding the public hanging of Parvaiz Masih, an illiterate Christian labourer, for his ‘blasphemous’ words with three co-workers. 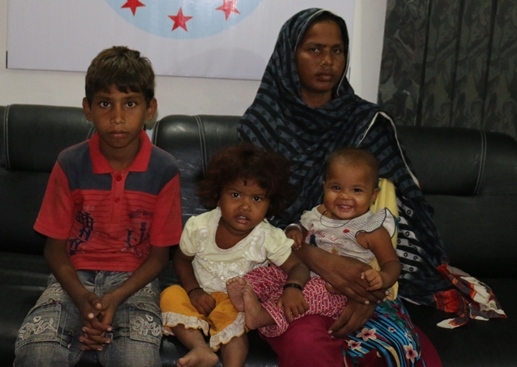 The mob demanded that the father of four be handed over to them. Two weeks earlier, on 15 August, Parvaiz Masih was working with Muhammad Amin, Muhammad Ejaz and Muhammad Asif for Hajji Jamshed, who had tasked them to fill four trucks of sand from a nearby dried-up canal. Working in the scorching heat, they decided to take some rest, according to Masih’s brother-in-law, Shamoun Masih. “One of them was repeatedly listening to a religious sermon on a cell phone, at which Parvaiz suggested they all get back to work,” he said. “After the work was done, the three wanted to pay Parvaiz less for his labour than had been mutually agreed. So they accused him of blasphemy. In most places, Pakistani Christians’ houses are outside the main village (due to pre-Partition residential arrangements for low castes). However, as urbanization creates new roads, the formerly unimportant locations become expensive; they’re now right next to new roads. Hours later, Parvaiz Masih was arrested at the brick kiln, totally unaware of developments. Though all his relatives were released after his arrest, villagers remained reluctant to hire the Christians for days. (UPDATE: Parvaiz Masih was released on bail on 7th Oct). “Two local Muslims, Chaudhry Majeed Kamboh and Sardar Intizar Dogar, told every villager that they could approach (or even harm) the Christians only over their [Kamboh and Dogar’s] dead bodies, after which no one came near them,” said Shamoun Masih. In yet another incident, a Christian man and his family were rescued from mob justice only through the timely intervention of Islamic clerics and local police. 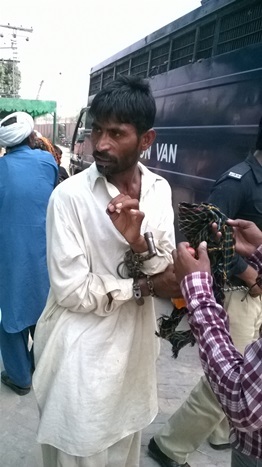 Forty-year-old Aftab Masih, a father of five, was accused of speaking ill against Islam in Wazirabad, about 100 kilometres from Lahore, on 3 July. By evening, about 300 men, armed with sticks and other weapons, gathered outside his house and chanted slogans. Local cleric Qari Naeem and several other Muslims intervened, supporting police to settle the matter. Masih, of Wazirabad Railway Colony, argued with another resident, Zain Shah, 18, after Shah has attempted to persuade Masih’s 12-year-old son Akash and five-year-old son Adnan to convert to Islam. Masih told World Watch Monitor that he did not want a religious argument, but only wanted to stop Shah from disturbing his sons. Shah is son of a retired Pakistan Railways constable, named Safdar, who has a reputation locally for being very religious. Masih argued with Shah about not disturbing his sons in front of Shafqat Hussain Shah’s shop on 29 June. “At this, Zain flared up and used inflammatory language against the Christian faith,” he told World Watch Monitor. Tired of the repeated verbal assaults against his faith, Masih asked Shah why he should be allowed to continue to bother his children, when Muslims had failed to convert Baba Guru Nanak, the 16th century founder of Sikhism. This was construed as blasphemy, a charge which in Pakistan carries the death penalty. The entire argument was witnessed by the shopkeeper, who reprimanded Shah for using disrespectful language against Christianity. By evening, Shah’s elder brother and father were spreading the news that Masih had disrespected the Prophet. Safdar Shah met Masih in front of a crowd of people, where Masih apologised. But Safdar Shah refused to accept it, saying the matter would be presented before Hafiz Naeem, the leader of a local mosque. The next morning, Naeem convened a meeting, where both presented their versions of events. Naeem decided that Maish was not guilty of blasphemy. However, Safdar Shah refused to accept this and said that he would present his case before Asif Hazarvi, the grandson of Mohammad Abdul Ghafoor Hazarvi, a founding member of one of Pakistan’s leading political parties, Jamiat Ulema-e-Pakistan (JUP). After Muslim neighbours intervened, it was decided that the matter would be presented before Hazarvi the next day. A Catholic priest (who requested anonymity), Safdar Shah and dozens of his supporters, a police officer, mosque leader Naeem and the shopkeeper were all present. Since this incident, Masih has left Wazirabad and is in search of some means to support his family. APUC Chairman Ashrafi told World Watch Monitor his organisation also intervened in the case. 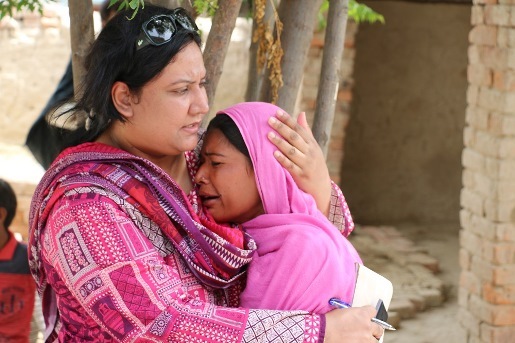 Napoleon Qayyum, a Christian politician from the Pakistan People’s Party, said that despite evidence that police in the Punjab province often protect Christians from communal violence, those who have been accused of blasphemy are usually forced to relocate, leaving their homes and families behind.